There was some excitement in Bow Island last night. 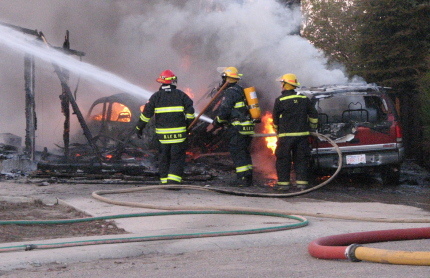 There were a lot of people standing around watching this house fire. We got there a bit late so my pictures aren't as impressive as some people got earlier. 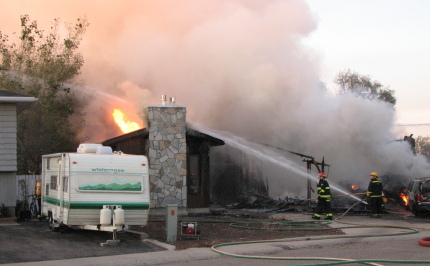 The whole front of the house had been one big wall of flame. You can see an old VW Bug in the garage. It's always sad to see an old car destroyed. We have seen some intense weather this summer. 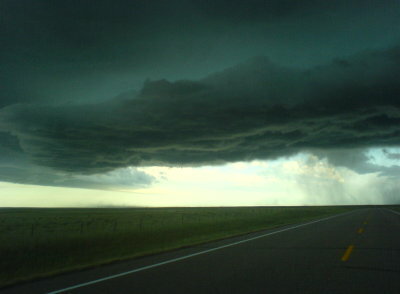 On the way to Bow Island this Friday we saw these ominous clouds.